Yum Yumbrella 3-Wire Kit. Ideal for states that only allow anglers to fish three hooks per rig. Features three stainless steel Super Wire arms that have been repeatedly heat-treated to deliver unmatched strength and memory. Includes jigheads with tough 3/o hooks and mud minnow swimbaits designed for multi-lure rigs. 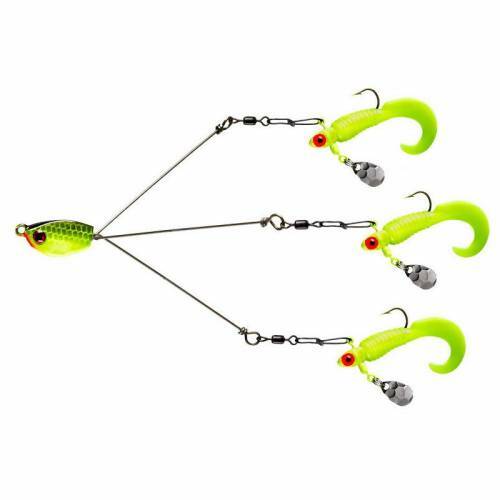 Long-casting with premium snap swivels and spinnerbait style heads to target schooling fish. Assorted colors available.